In this Firearms Safety Class you will learn everything you ever wanted to know about them. Types of bullets, different firearms, most common used, learn about calibers, what the numbers mean, which have magazines (and what are magazines? ), how much time it takes to fire each one, what are revolvers, semi-automatics, automatics, etc. Held June 17, 6:00 – 8:00 pm. Tickets may be purchased here. Taught by an Expert Marksman with extensive Firearms Training, is a Defensive Tactics Instructor, Taser Instructor, has extensive training in Use of Force (Decision-Making), and has a lifelong Martial Arts Background. I know this is a hard subject for some to even talk about, and is controversial in the larger picture. This Firearms Safety Class is for educational purposes only. You can ask all the questions you’d like. You can even hold the firearms if you choose to do so. Remember, this is about safety. This class will help demystify firearms for you so that you will be more educated. To sign up for this class, you can purchase tickets here. There is early bird pricing. You can always contact me for further information. Every move re-educates the muscles. It evokes pictures of some courageous and strong people we all know, or have seen in movies—I think of Braveheart, Wonder Woman, and other SuperHeroes. The Reverend Dr Martin Luther King Jr., airline pilots (who have successfully landed an ailing aircraft full of people), and others we hear about in the news, are the ‘big’ people. They are ones who have an impact on many. They are all ‘BadassCourageous.’ There is even a local SuperHero who saved another woman from a continued sexual attack. Here she is. And she is 15 years old. We have all accomplished courageous things in our lives...and not always recognized them as being courageous. Just walking into a fitness facility or a martial arts studio takes courage for so many. What courageous acts have you created so far in your life? Absolutely no need to be a SuperHero to have Courage. We all do courageous things all the time. Most often we see them as ‘life challenges.’ And life challenges absolutely cultivate our courage. Everyone has a story. What are your stories? The one fear I hear the most in my line of work is the fear of going out alone. What is the true fear here? It is the fear of getting hurt by an attack, and not knowing what to do, or having the resources to be safe. It is so much easier to stay home. So we limit ourselves. We limit our life experiences. We limit our freedom. We settle for limited lives. The fear of embarrassment and rejection, often go hand in hand. For this reason we don’t introduce ourselves at an event where we might not know very many people. Some of us won’t even go to a party alone. If we do go, we might sit in ‘our spot’ the entire night. Or we fear getting up in front of a group of people and speaking our minds. How many times have you seen an empty dance floor…only to begin filling up after one brave soul went out there to dance (that would be me…lol. And I usually don’t wait long. When a danceable song I like comes on, I’m there). There are so many instances whereby we allow our fears to stop us from living a full, free, and happy life. It’s easier to be mediocre, normal, let others have their way, and we settle for where we are because it is in our comfort zone. We can only develop courage when we charge ahead through our fears. This is the only (and I emphasize only) way to build courage. From my experience in teaching self-defense and martial arts programs these past 36 years, our bodies are the ones who will respond. Not our minds. Courage is not in our heads. Courage is in our bodies, as are all emotions. Think of sadness. Have you ever lost a loved one? Lost a love? Lost anyone in your life whom you valued? Where do you feel the pain? In your head? I don’t think so. The pain resides in our hearts. The pain is real. If we could do it, most of us would just pull out the pain with our hands. However, because it is energy we cannot ‘pull’ it out. Most of us simply cannot physically ‘grasp’ energy. We cannot ‘will’ it away either. (If you can, show me how please…(I want to ‘lol’ here, as I don’t think anyone will come thru with the ‘how-to’ on this one.) And what is the most common method to release that pain? Tears. Tears allow healing, as they allow the emotion to release. This is not news. We all know this. How will courage work In confrontations? We have three choices: Fight - Flight - Freeze. Which one will work for you? In any situation—even in a conversation with a relative, or the bully at work, or school, or someone in power, which response will your body elicit? Gonna talk about ‘freeze’ for a sec here. When we ‘freeze’ as in paralyzing fear, or someone says something to us that makes us clam-up (and we truly didn’t want to clam-up! ), how do we get out of that frozen state? Maybe the person walked away before we could say what we really wanted to say. Then we’re left depleted, discouraged, dis-enheartened, belittled, feel like we ‘lost,’ etc. And it can easily bring tears. What in your body allows you to move this frozen energy? If you guessed ‘take a deep breath’ you are correct. Is that a thought in your brain? It could start as a ‘reminder’…”oh yeah, breathe.” However, the breathing itself is a body-response. Your deep breath clears your mind, as it allows fresh blood to flow into it with the renewed oxygen flow, thus unfreezing your body. This is another gift we were given as humans. This deep breath allows you to also relax which is the cornerstone for stress-reduction. So now let’s look at someone physically coming at you in a threatening manner. Time and again I have asked people new to ‘quick-reaction-body-knowledge’ to show me what they would do. I even let them know what I am going to do (how I will ‘attack’ them). Now bear in mind, I make sure that everyone is safe in this exercise—no one is getting punched out or knocked to the floor). Time and time again, they freeze, or move in a way that would allow me to continue to overpower them or re-attack (if I was a ‘bad’ person). Even though in their heads they may have thought of what they will do, their response is quite short of what they were thinking. Sometimes I tell them exactly how they will be confronted, then show them exactly what to do, and they still do something different. Why is this? Because that is what is in the body. That is the memory of the body—the knowledge and intelligence of the body. The body’s brilliance. The muscles can only move with the knowledge the body contains. Our entire lifetimes we are inputting information (emotion) into our bodies. When therapists can elicit something that was ‘deeply buried’ inside of someone, where was it buried? Our brains are only thoughts. The energy of that past experience is buried in our bodies. It comes out most readily with our tears. So then, how do we change the response of the muscles to move in the most efficient way to be safe? It starts with the input the nervous system receives. When physical confrontations happens, the messages are sent through the eyes into the brain’s nervous system and then into the body. In order to change how the muscles react, we must re-educate them. This does not happen in one hour or even one day or one week. It takes hours and hours of time, depending on the severity of the response (or non-response) to re-educate the muscles. You will find your voice when you develop your #BadassCourage. Start by collecting your own Badges of Badass. Finding your voice allows you to make the choices that work for you (and those you love). It allows you to stand up for yourself. It allows you to speak up. Be bold. Be creative. Achieve your own freedom. And that is where you will find your happy place. It will allow you to live the life you want. Contact me if you are interested in finding out more about your own BadassCourage (complimentary consultation), and how your life can totally change in a positive, powerful way. OK...this is predominantly a Ladies event! Heidi Moakler of Ruby Ribbon will be showcasing her "BraFreeForever" line of clothing that will change the way you choose your clothes! February 5, from 6:00 - 8:00 pm we are having a Special Event that will highlight Ruby Ribbon, doTerra essential oils by Katherine Hughes, and GoosesGoodies Toffee by Marci Prolo! This is a great way to celebrate your love for you! See how wonderful you too can feel in this clothing that is phenomenal and so kind to our bodies. Feel the smoothness and silkiness of the material and how it makes you feel wearing it. After trying one on, you will probably want to purchase several. Different styles-different colors-you choose what works for you. Essential oils help us get through so many different 'states' in our bodies, minds and souls. Find out what would benefit you immediately. And you can purchase the wonderful little handmade cloth bags made by Katherine, to store your oils. These also make great gifts for family and friends (and, of course, you!). Marci has been running GoosesGoodies for several years. Her toffee is a family favorite that she has built into a business. Come taste the goodies and purchase a bag or two. We'll provide something to drink. And someone will win a Gift Basket filled with all types of goodies. It takes courage to make a change. This one should be easy. Help to activate your #badasscourage by taking one small step to make a difference for yourself (or your special person). What a great way to celebrate First Friday too and our Love Month! On the town on a Friday night networking, partying, dancing, eating great food (served by our very own Hedy Nochimson of Plate & Bottle), and generally having a great time at the Little Black Dress event, a fundraiser put on by Monica Karst of the Santa Cruz Socialites. Awesome event with great friends and colleagues. Little Black Dress Antics…with Monica Karst (Santa Cruz Socialites), Leta Jusilla and Michelle Bean (both of Optimal Health and Fitness). I left a bit early (it ended at 10:00, and I left by 9:20 pm), as I had to teach classes in the morning starting at 8:00 am. As is my usual pace (fast, and it’s great for repelling the bad guys), I walked down the driveway, and was just ready to turn left (my intuition told me to get out my small flashlight, however, my head thought it knew better and told me “Nawww, there are lots of street lights. Don’t need the flashlight,” feeling a bit like Smeagle. Not 10 seconds later, my left boot caught the embankment as I was turning, and sent my body sailing across the sidewalk and into the tire of a parked SUV. Both arms were thrown back. I did not have time to break and roll. My right arm hit the tire, and my knees acted somewhat as breaks on the concrete, as I propelled forward. In that moment I felt the right arm protruded wayyyy back, and there was a slight numbing sensation. I knew I had effed up. My brain labored that I would need surgery, and months, maybe years, of therapy. And have pain forever…I just knew it. Got onto my hands, untouched in this fiasco, and stood up with a bit of knee pain, but still able to walk. I slowly pulled on my arm forward, and of course it was in tremendous pain, not unlike childbirth. It was bent at the elbow by design from the incident. Grabbed my purse (btw, forgot my camera somewhere there on the concrete…so if anybody turned in a Nikon, let me know…lol…yes, it got thrown too), and I walked a few hundred feet. I had to sit down. Got back up, walked a bit more, then realized I was not going to be able to drive (yeah, I was still focused on getting to my car). Got on my phone and called a couple people who were still at the event. Of course they did not hear their phones, as they were still dancing to great music by DJ Sparkle who played the most fantastic music! (That part of the event was the most fun!) I called a couple more people, and Marica Buenafe came to my rescue. She was at Dominican ER with me until 3:15 am!!! She has more info on the comings and goings in Emergency that night…lol. Even though I was in pain (after 2 meds, a single shot to the (other) arm, then a double shot to same arm), I was able to quickly fall asleep, as I was by now, exhausted. My arm had a clean break (Great testimonial for the effects of BodyPump training!). I’m sure I’ll see lessons 3, and 4, and 5…who know how much will come out of this. So far, I am enjoying the fact that I have an awesome staff! My Crew of 19 are fabulous, capable, reliable, fantastic, totally awesome, and so #badass! They get the job done, thank you verr much! Kudos to Marcia Buenafe and Robin Ludington for their exceptional help, and to Analicia Cube, Cassandra Coraggio, Brent Rohrs, and ALL my subs and help: Sophie Calhoun, Connie Kreemer, Anika Wong (for stepping in to teach BodyPump while on vacation here! ), Melissa Finsthwait, Samira Hartje, Dixie Mills, Denice Kowalski, and Bernadette Franzel. And thanks to everyone on my entire Crew: Kira Durant, Amanda Clark, Carolyn Wormhoudt, Jenna Giuliani, Jillian Chesley, Katie Landau, Alma Arquiza, and Lorna Russo. They keep the studio humming! And btw, that night at Little Black Dress made it totally worth it! Cultivating #badasscourage, and encouraging you to #fight4YOURlife! In March, 2016, as part of our self-care series, we are hosting Damsel in Defense, a woman-owned Scotts Valley business, for a Special Event, open to the public. You will get to hear all about the various goodies pictured here (and more). These are non-lethal safety implements available in various colors and sizes (yes, they have pink, black and gray). You don’t need to be a martial artist to use these! This will be quite the interactive event. Yes, you’ll get to try out all the goodies. 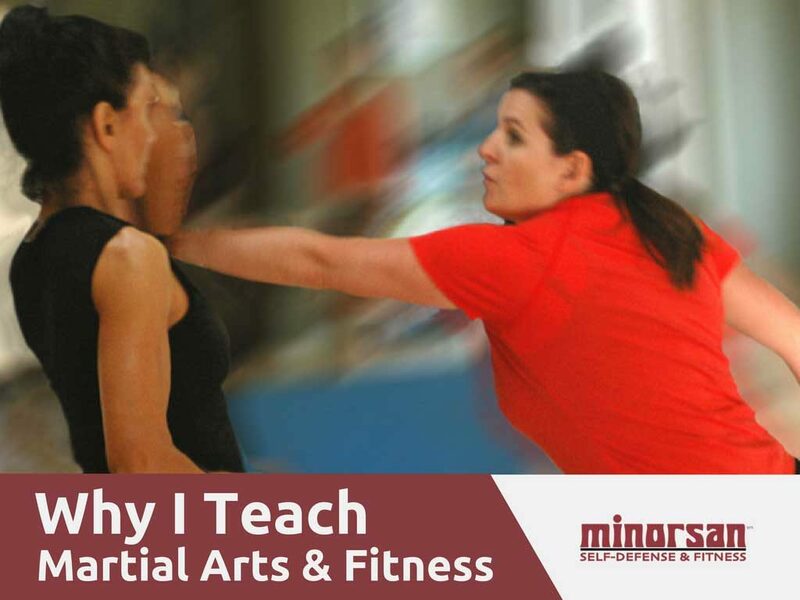 You’ll get an intro to self-defense too! And we’ll serve refreshments throughout. These make great gifts for your friends, and for you. Great colors too. Now you can be safe in style! (OK…just kidding, but you know what I mean). You will feel good carrying these. There is even digital protection and emergency kits. Members will get your Perkville special event points for attending. On December 16, Wednesday from 6:00 to 7:00 pm, we’re holding a Special Tabata Night. ALL those who just want to do the workout, as well as those who are interested in Tabata Bootcamp, are welcome! Even if you haven’t done Tabata in months, or you did one Teaser Day, or you’ve never done it! This will be a special fun night for everyone. The workout will be from 6:00 to 6:30 pm. Refreshments and schmoozing after! For anyone hooked into Perkville, yes you’ll get special event points! In February, March and April, we have three Self-Care Events planned! Part 1 is scheduled for February 5, from 6:00 – 8:00 pm. See Self-Care Self-Love in February! The March event will be held March 12. Check the News tab on the website for updates as we get closer. Mark these as tentative on your calendar. Once again, Perkville special event points will accumulate for you. We’ll let you know the date of our April event soon. As always, you can contact us through the website’s Contact page, or call 831-458-0900.